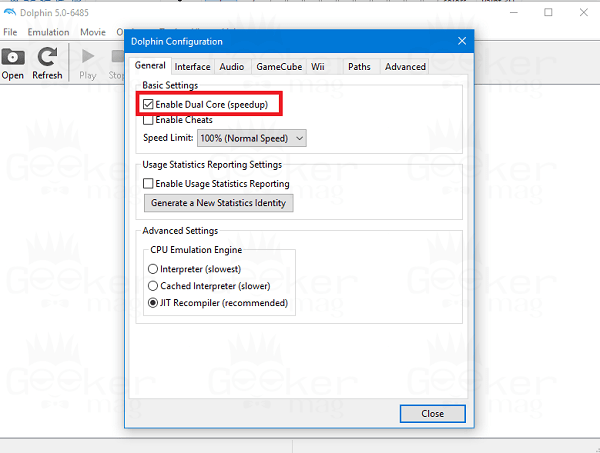 Is Dolphin emulator running very slow on your PC? The following post has step by step instructions on how to make Dolphin run faster. Dolphin Emulator is a favorite gaming console emulator for Nintendo GameCube, Wii, and the Triforce that runs on Windows, Mac OS X, Linux, and Android operating system. It is an open source, and free gaming software still getting regular support for GameCube, Wii, and Triforce emulations. There are thousands of game lover who’re using the Dolphin emulator to play their favorite GameCube, Wii, and the Triforce on the supported operating system. Undoubtedly, the Dolphin emulator has raised the overall emulation accuracy and speed over the time. Still, sometimes conditions come when it is running very slow on the system or offer slow functioning speed. And if you reach up to this line, then I’m sure that you’re also facing the issue while playing games using the dolphin. 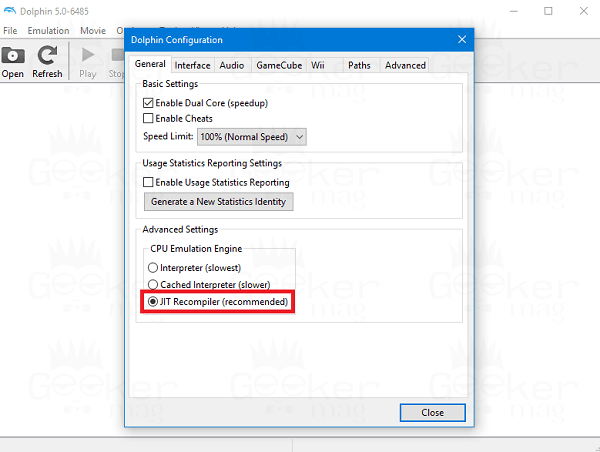 It is impossible to explain the cause behind the slow performance of the Dolphin emulator, but the chances are that you might be running a slow computer, or system with low hardware configuration. Apart from this, there is a possibility that you are running a game that requires high-end specification and you need to tell inform about it. 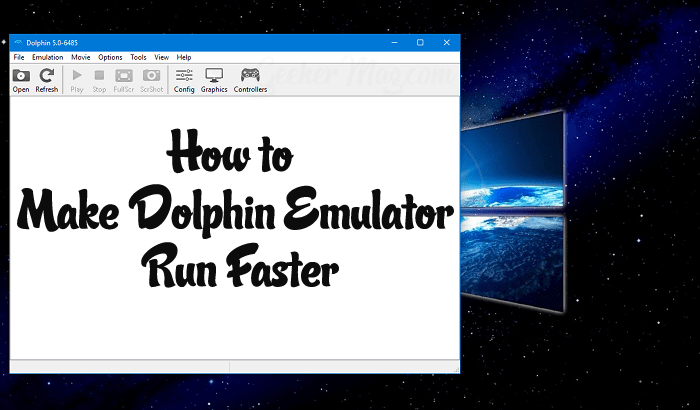 In case, you’re into the same situation and looking for a way on how to make Dolphin run faster; the following are the best dolphin emulator settings which you can use to fix dolphin emulator lag or for an overall performance boost. Note: The following suggestions will only boost the performance if you’re running the emulator with optimal hardware configuration, and still it is running very slow. This will speed up the performance of emulator on the modern systems. Also, there might be game titles that run abnormally when the same option is enabled. Check this page for more details. 2. 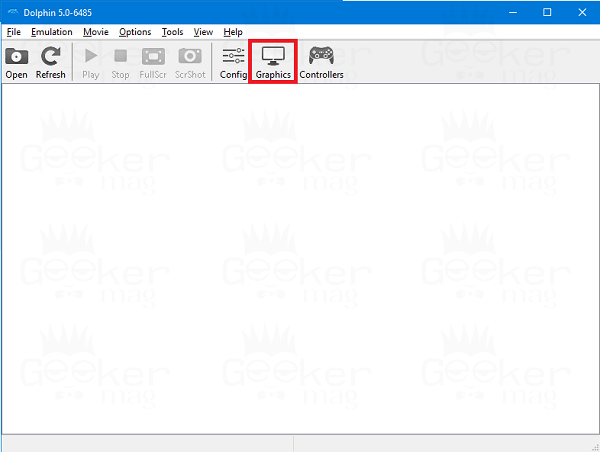 Head over to ‘CPU Emulation Engine‘ section under the ‘General‘ tab of Configuration window. Here you need to select ‘JIT Recompiler (recommended)‘ option. JIT Recompiler is the one of the fastest CPU Emulation Engine available, and it works best for all game titles. Regarding DPS Emulator Engine, the DSP HLE is the fastest one, and it is very reliable. It works fine with almost all the gaming title without any problem. 4. In the Dolphin emulator window, click on the ‘Graphics‘ button. Under the ‘General‘ tab, use the ‘Backend‘ drop-down menu listed under basic section. You can either select OpenGL or the Direct 3D11 depending on your system graphic card and the game. Both backend settings will offer much better performance. 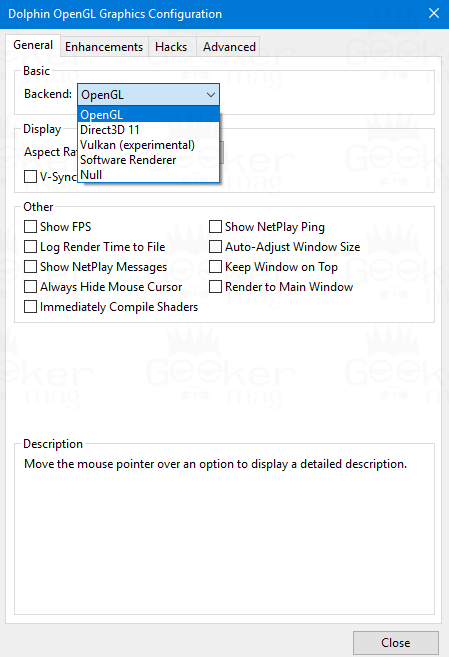 While the remaining backend settings like Vulkan is under testing. 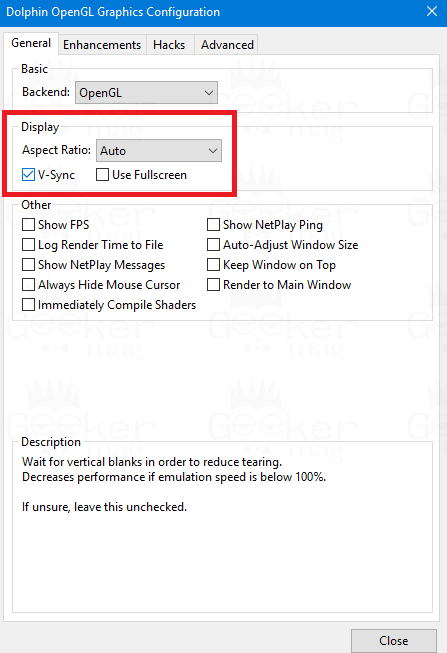 Most of the gaming titles don’t care about this settings, but believe me it this setting is enabled, then it gives you a small performance boost. By default, this feature is enabled. Only disable this feature if the game title you’re playing on the machine doesn’t require it. 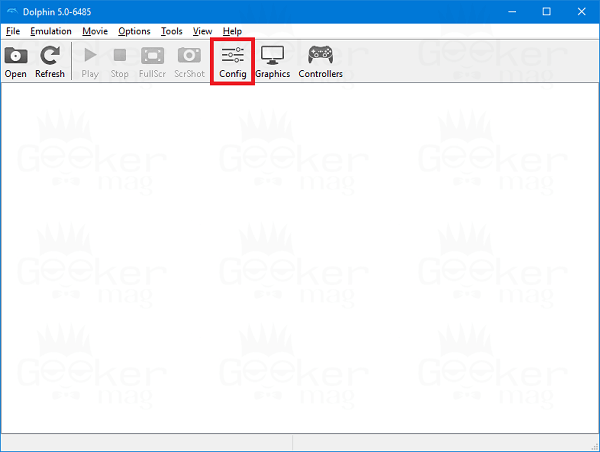 Set the slider for this feature to Fast, and it will make the Dolphin emulator run fast. But in case of some game titles, you can experience graphical glitches. 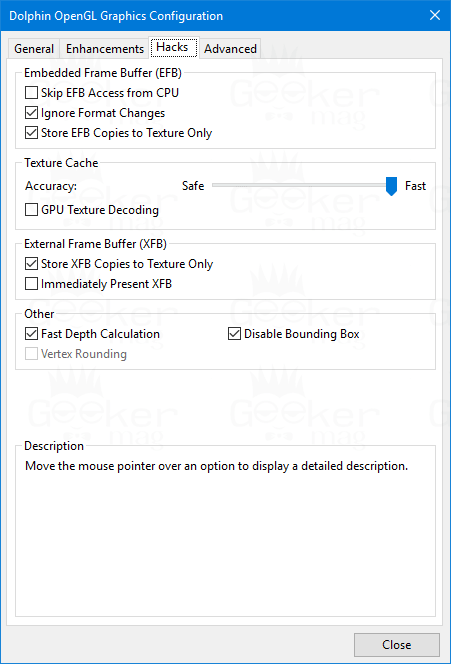 Under other section, you can tick mark box for ‘Fast Depth Calculation,’ gives you a minor boost at the cost of flickering textures and ‘Disable Bounding Box,’ this is not required for most of the game titles. 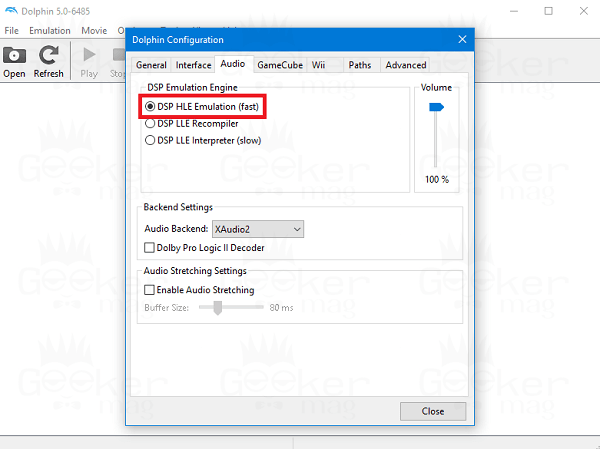 At last again, it is suggested that if you want to enjoy a better experience, then try to run the Dolphin emulator in a machine having high-end configuration and optimal graphics card. I hope my this post on how to make dolphin run faster useful. Your thoughts are welcomed in the comment section.